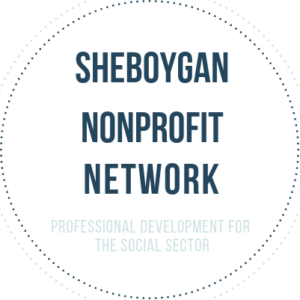 What do young professionals love about Sheboygan County? The energy. The lifestyle. The active and growing community of young professionals. Big city amenities without the commute. A vibrant arts and music culture. Food trucks, authentic Italian pizza and farm-to-table meals. Trivia nights and flights at our favorite taproom. Sipping wine at our local winery. And yes, cheese and sausage. Setting sail, fishing and freshwater surfing on Lake Michigan. Kayaking through the Sheboygan Marsh and overlooking 13,000 acres of wildlife area from Wisconsin’s highest observation tower. IndyCar racing at Road America and hugging the curves of the Kettle Moraines on motorcycle. Biking across the county or cross-country skiing by candlelight. Who are we? Innovators, collaborators and leaders of change. Sheboygan County has the second fastest growing Gross Domestic Product (GDP) in Wisconsin and an abundance of career opportunities for young professionals. We are community stewards and civic advocates. We have a seat at the table for school boards, nonprofits, community projects, municipalities and our great state. Our family-owned, philanthropic companies invest in our community year after year to maintain a high quality of life for all. Fit Body Boot Camp Sheboygan, 2135 S Business Dr.
SEAS (Sailing Education Association of Sheboygan), 1837 Superior Ave.
Sheboygan, Wisconsin, Location to be determined by Habitat for Humanity Lakeside. Fat Cow Pub & Eatery, 406 Broadway St. Please join Coastal Young Professionals for an informal social gathering after work at the Fat Cow Pub and Eatery. 3 Sheeps Brewing Company Taproom, 1837 North Ave.